There's something about California that just makes you want to hit the farmer's market and grab a green juice...so that's exactly what I did! 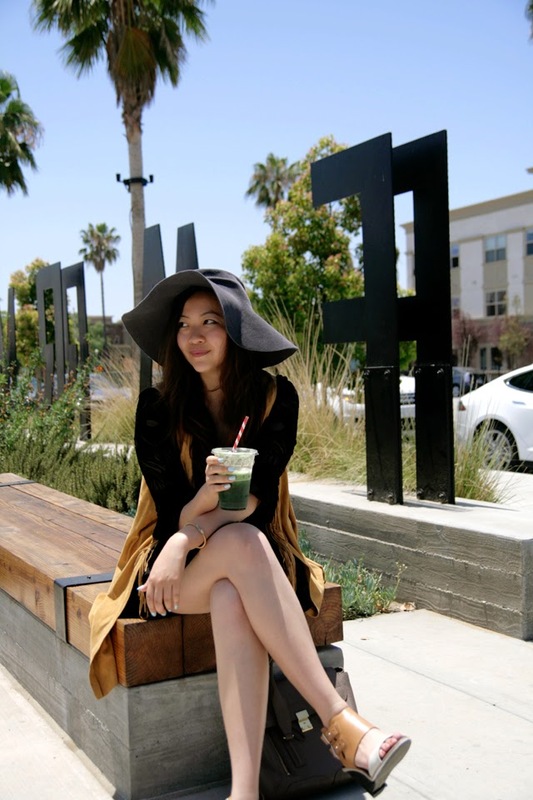 I visited the Anaheim Packing House and went for an easy summer look. 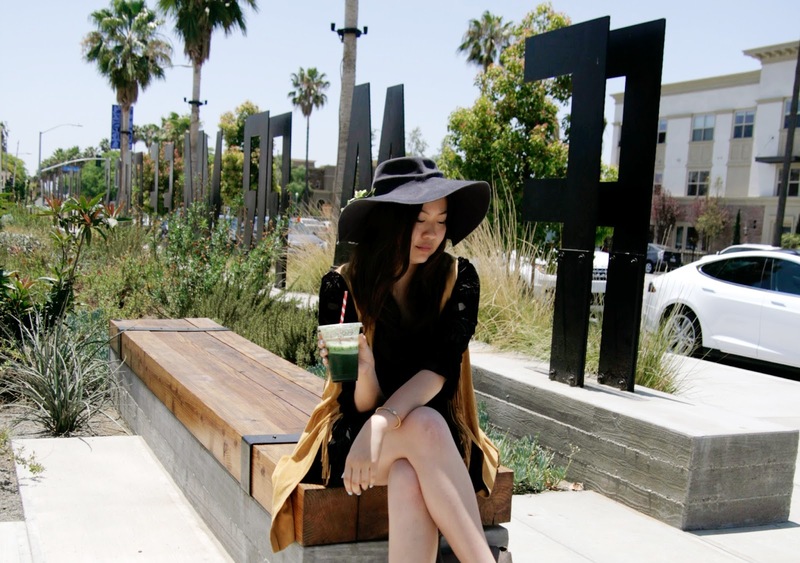 What screams sunshine more than some fringe and a floppy hat? I was into millinery for a bit, so this hat is actually one of my own creation. I've become a bit obsessed with molding felt hats, and I quite liked how this one turned out. I've been itching to get my hands on a fedora hat block for a while, but they're just so expensive. I guess it's another thing to add to my ever growing "someday" list!